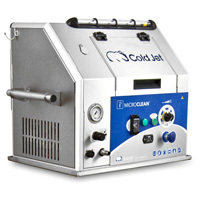 Cold Jet's patent protected Radial Feeder, and patented MERN technology in the blast nozzles ensure that Cold Jet equipment will always offer the greatest cleaning efficiency possible. 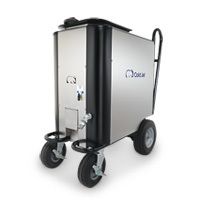 Cold Jet innovation offers powerful, environmentally responsible dry ice blast cleaning solutions that reduce operating costs and improve production quality. 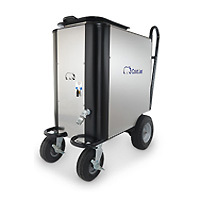 Cold Jet's patent protected Radial Feeder, and patented MERN technology in the blast nozzles ensure that Cold Jet equipment will always offer the greatest cleaning efficiency possible. The below are the current range of Cold Jet dry ice pellet blasting machines, their brochures and catalogues. 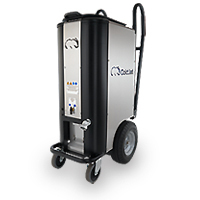 Many of the below models include Cold Jet's patented SureFlow System which reduces sublimation and ensures reliable flow of dry ice, providing non-stop, hassle-free cleaning. 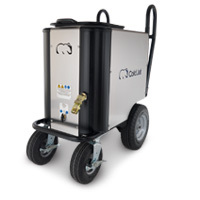 Couple that with trigger-activated hopper agitation, Super Multilayer Insulation, 360° turning radius, and flat-free wheels and the Cold Jet equipment will let you clean like never before.